Our product range includes a wide range of industrial metal coil springs, lock springs, special purpose springs, valves springs, square springs and industrial lock springs. We offer an extensive range of Industrial Springs which is available the Load bearing capacity upto 40tons per pc. 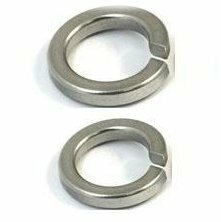 These are manufactured using round wire wrapped in cylindrical shape with a constant pitch between the coils and is known for its heavy load bearing capacity. Asco products are provided with the material section of various types such as round, square, rectangular taper, flat and many more. Out side dia. upto 600 mm. 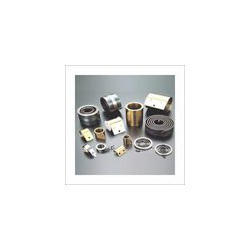 Materials specification is customer requirements. We at Asha springs designed and develop superior quality Lock Springs, which are built to offer resistance to forces of twist or rotation. Our offered Lock Springs are able to bear both the lateral and angular forces. Lock Spring acts by accelerating the diameter and the body length under different changing conditions, typically temperature and pressure. We bring forth Lock Springs with ends in a wide variety of standard forms which comprises short hook springs hinge springs straight offset springs straight torsion springs double torsion springs. Moreover, we export these springs across the globe such as Europe, Austria, Belgium, Denmark, England, France Georgia, Germany, Greece and also in other European countries. 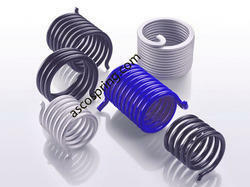 Asco Spring is a reliable Special Types Special Purpose Spring manufacturers in India. We are dedicated towards the manufacturing of different kinds of special purpose springs like Down light Springs, Motor Starter Springs, Modular Switch Springs, as well as Electric Contractor Springs. 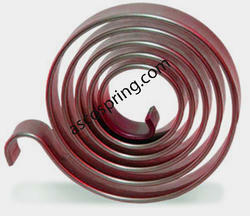 All these springs are known for their corrosion resistance, strength, and affordable prices. Asco Spring carries numerous normally replaced springs with the affluence of Industries household usages including screen doors, chaise lounges, lawn and cots furniture, small toys, hobby horses, trampolines, baby cribs, porch swings, garden and lawn equipment, small-hand tools, and kitchen appliances. 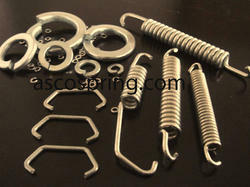 We offer a well appraised and qualitative range of Special Purpose Springs. 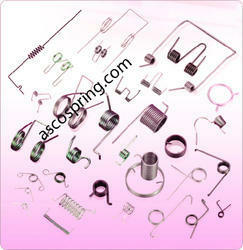 We are a reliable Special Purpose Springs Manufacturer and Exporter of the industry. We produce these springs in our extensive manufacturing unit, that is well equipped with the latest and high grade machines. Every minute details regarding the designing calculations and pressure coefficients are thoroughly looked after by our vigilant team of experts. These spring suitably fulfills applications in various items such as machine, hardware, switch, instrument, computer, electronics, electric fan, toy and stationery. They are also offered for power tools, electric tools. Valves Springs at springs are built to offer resistance to forces of twist or rotation. Our springs are able to endure both the lateral and angular forces. Torsion springs work by increasing the diameter and the body length under changing conditions, especially temperature and pressure. We manufacture torsion springs with ends in a variety of standard forms that include. Short hook springs, Hinge springs, Straight offset springs, Straight torsion springs, Double torsion springs. With our in-depth knowledge of this domain, we are actively engaged in offering an excellent quality assortment of Square Spring. We offer an assortment of Industrial Lock Springs, which is manufactured in various specifications as per different industrial requirements. 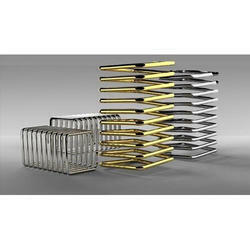 Offered in various sizes, these constant force springs are made up of premium quality raw materials. We also proffer a quality range of Special Purpose Springs, which renders varied applications and functions to distinctive industries. We are a well known manufacturer and exporter of Special Purpose Springs, serving to our world spread customers. Our products are highly preferred and appreciated for their strength, long serving life and great performance. We also offer a special customization service to our revered clientele, that can provide them with products of their own requirements and specifications. We deal in both national and international markets including the countries like Europe, Austria, Belgium, Denmark, England, France Georgia, Germany, Greece, Hungary Iceland, Poland, Portugal, Romania, Spain Sweden, Switzerland, Ukraine, United Kingdom (UK) Italy.